The Canada Pension Plan (CPP) is a nationally administered pension program designed to help Canadians provide income for their retirement or in case of disability. CPP was established in 1965 by the Liberal government of Lester B. Pearson. Except for the province of Quebec, it is a mandatory plan that all Canadian employers and employees must contribute to. Quebec has its own compulsory pension plan, known as the Quebec Pension Plan (QPP). Working Canadians between the ages of 18 and 70 have to contribute to the Canada Pension Plan (or the Quebec Pension Plan) unless they are already receiving a pension from the plan. Old Age Security (OAS) is funded from general revenue (taxes) and is available to anyone who has resided in Canada for 40 years between the ages of 18 and 65, regardless of employment history. Canada Pension Plan is a separate program funded by employer/employee contributions - it is not a government benefit. Together CPP and OAS form the basis of the Canadian pension system. 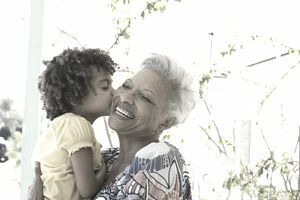 CPP benefits are available (at a reduced level) starting from age 60 (or as late as age 70), whereas you cannot begin collecting OAS until age 65. Note that Old Age Security can be "clawed back" if your income exceeds the defined threshold ($72,809 as of 2015). For 2016 the maximum Canada Pension Plan retirement benefit is approximately $1,100/month, based on a formula of the number of years worked and contributions. The average CPP payout is approximately $600/month. Survivor's benefits are available to legal spouses or common-law partners of deceased contributors to CPP. Those with low CPP contributions and no other sources of income on retirement may qualify for the Guaranteed Income Supplement. has not elected to stop contributing to CPP if between 65 and 70 years of age. In other words, if you are still working at age 65 you can choose to no longer pay into the CPP. Canada Pension Plan contributions are split 50/50 between employers and employees. The deduction rates depend on the pensionable earnings of the employee, up to the maximum annual contribution. See CPP contribution rates, maximums and exemption on the Canada Revenue Agency (CRA) website for the current rates. Casual labour - this is a grey area and often a problem for businesses. If for example, a business owner needs someone to come in and mow the lawn or wash the windows he/she does not want the hassle of treating the person as an employee and having to do payroll/CPP deductions. Generally speaking, the Canada Revenue Agency considers casual employment to be 1) occasional and 2) not related to the employer's trade or business. So for example, employing someone for 10 hours a week on a regular basis to assist with business-related activities does not qualify as casual labour and the person must be treated as a payroll employee (with CPP deductions) if the person does not provide an invoice for work performed as a registered business (e.g. is not a contractor). Tips and gratuities if given directly, i.e., not controlled by the employer. If the tips come from the employer, the employer must withhold source deductions, including CPP. Payments from employee profit sharing plans (EPSPs). If you are self-employed, you have to pay both the employer and the employee portions of the CPP contribution. If you are a sole proprietor or in a partnership, you make the contributions when you file your tax return (minus any CPP included in installment payments throughout the tax year). If you are running an incorporated business and using payroll, you deduct CPP as an employer/employee.